Drinks maker in Titan/Silver that fits into any kitchen, bottles are not microwaveable and not dishwasher safe. Full CO2 cylinder makes up to 60 Liters of sparkling water. 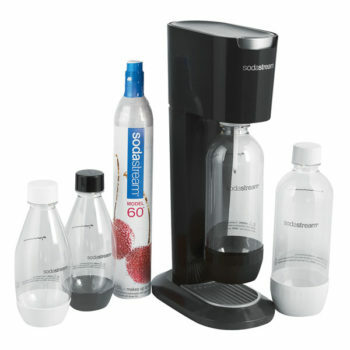 Sodastream is the world’s largest manufacturer, distributor and marketer of Home Carbonation Systems. 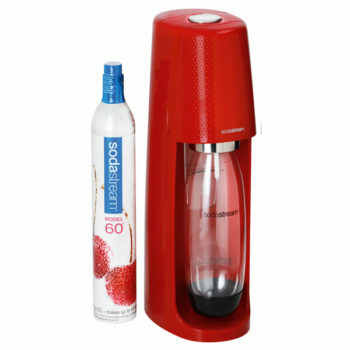 Our brand, SodaStream, is sold in more than 45 countries worldwide. All rights reserved. 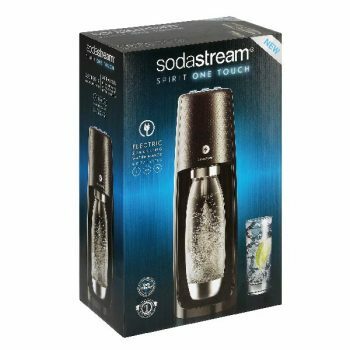 Copyright Sodastream 2018.